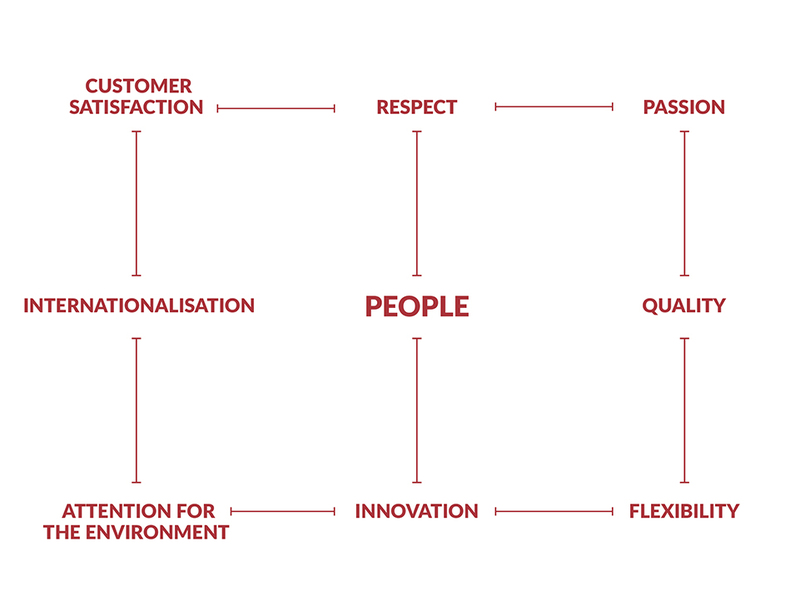 Our almost fifty-year history is based on people: our team – hard-working, meticulous, attentive, motivated and highly qualified – is only an effect of our company’s values, where everyone is called to be an example, in mutual respect and team spirit building. Attention to quality of management, our manufacturing processes and our products, together with the innovative drive of the company and our flexibility are the basis of the pursuit of customer satisfaction and loyalty, reaching an increasingly international extent. Finally, there would not be consistency with our corporate values without an ongoing commitment to promoting sustainable materials with less environmental impact, because our passion for work cannot be separated from the love for the environment in which we live.